what is 3 on the 3rd? 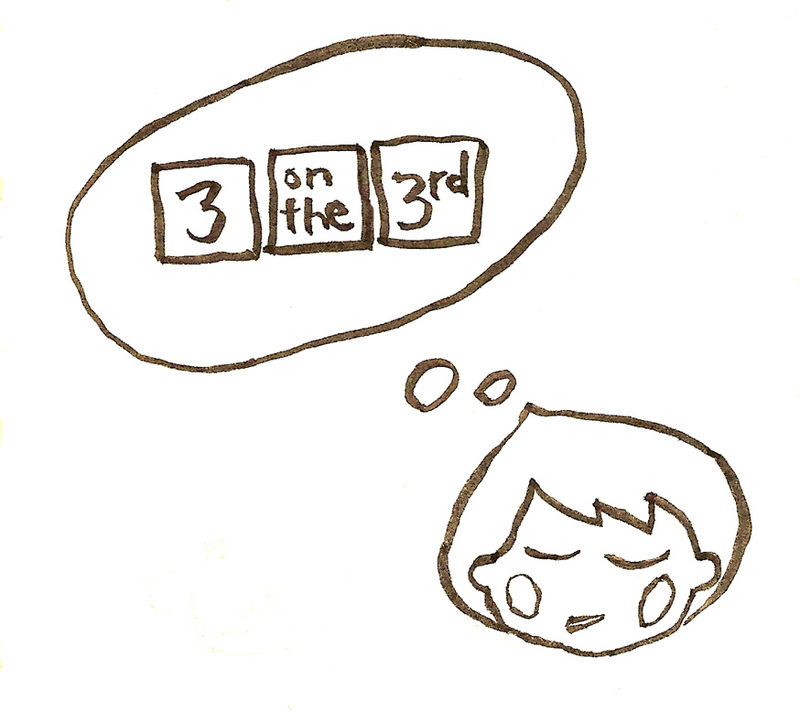 On the third day of the month, we tell three tiny true stories about our lives. We make wild, crazy paintings. Come see the latest comics. Or better yet, make your own and share them with us. A monthly journal comic event so simple that anyone can participate.